A blog post review today based on both Mr M and I being super impressed! In this freezing cold weather, with ice and snow on the ground, we still have our temporary cold water feed coming direct up from the water mains at the far end of the garden, through and along the white PolyFit Polypipe Mr M connected last summer, through the mud, up the wall and into the house to our only sink & loo. Not only was it very easy to work with, speedy to fit and bends where you want it to, but not once has it frozen or been damaged by endless boots stomping on it, or even the digger driving over it. Yes, the icy water is a shock to the system and we can’t wait for the new heating system to be installed but the point is, we have water! So thanks Polypipe, we were convinced our supply would freeze up if temperatures dipped below zero but this seemingly indestructible product has seen us through 🙂 I did read somewhere about a woman who was about 80 but had amazing skin because she washed in a fresh mountain stream every day and am hoping these few years without hot running water will do me the same favours. 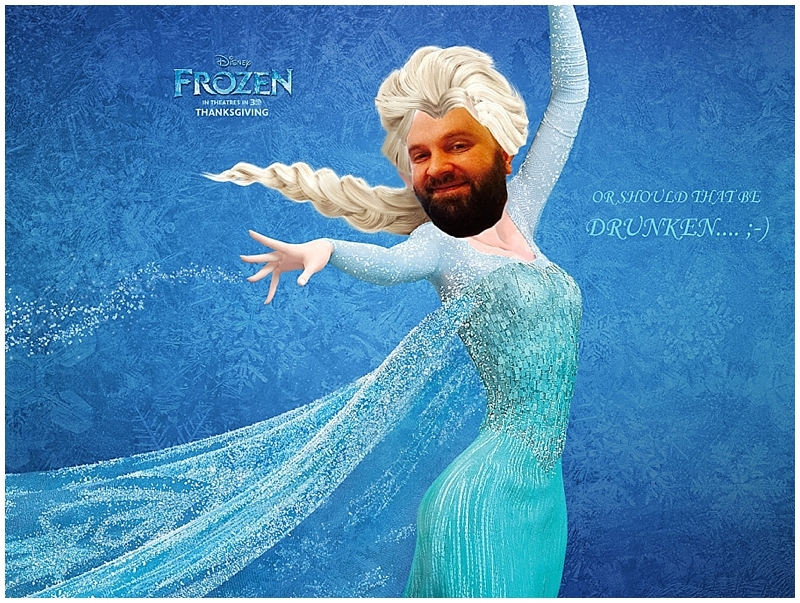 Speaking of Frozen, for those of you familiar with our pal the Drunken Butcher, don’t believe him when he says he’ll never do a Disney themed Supper Club. He shocked us all with his fav new outfit on Christmas Day when a certain film came on the tellybox….